They appear to be about the same size because, of course, I used a trick of perspective. 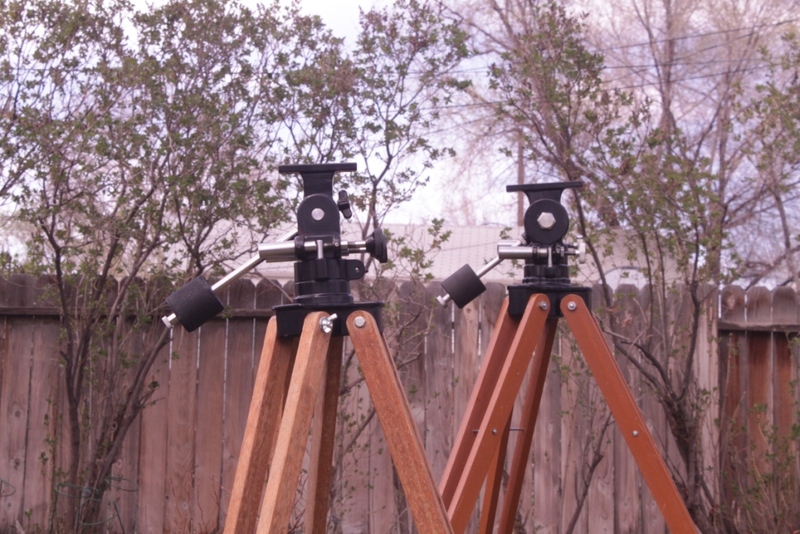 The one on the left is for a three inch telescope and the one on the right is for a much larger 4 inch. I have often been confused by pictures of these mounts because it is nearly impossible to tell them apart without a sense of scale. Here are the same two mounts seen right next to each other. (Sorry, I switched them from left to right). You can now see that the mount for the 4 inch is much larger, more massive and stronger. 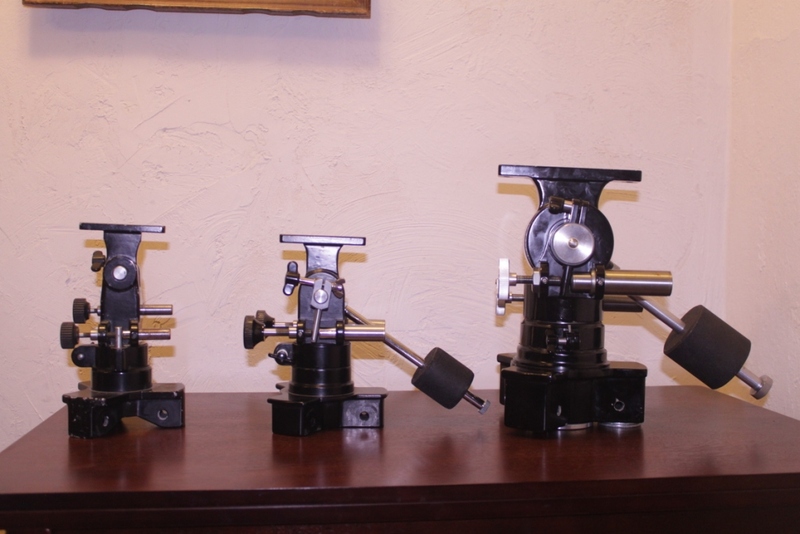 Here are three mounts next to each other. The one on the far left is for a 60mm scope, though I have seen three inch scopes mounted on it. For more views of Unitron altaz mounts with their associated telescopes onboard please check out my YouTube Video at http://youtu.be/ETlMv-KLEVM . 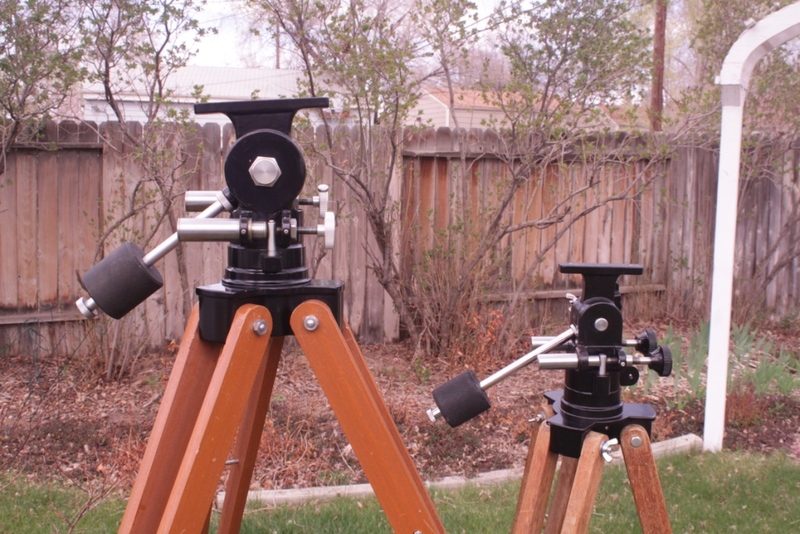 This entry was posted in Unitron Telescope and tagged Unitron Altaz Mounts on April 21, 2014 by DaveTrott.